MTS sandblasted concrete walkways at Brookhaven Village Shopping Center in Addison, TX. MTS sandblasted architectural concrete walkways. MTS sandblasted architectural concrete walkways at front and back entrances. 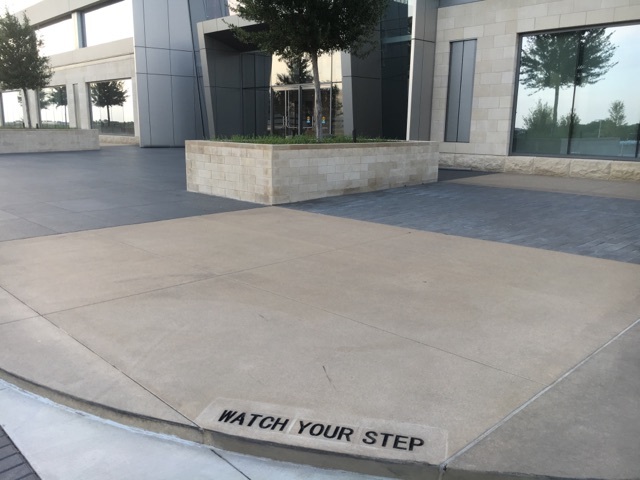 MTS sandblasted to engrave “watch your step” around the headquarters building. MTS sandblasted architectural concrete bands alternating heavy and medium blast. MTS sandblasted multiple concrete medallions at The Gate project in Frisco, TX. MTS sandblasted architectural concrete at facility. MTS sandblasted architectural concrete walkways around entire facility. MTS sandblasted architectural concrete walkways around University of Texas at Dallas's student services building. MTS sandblasted 5,000 square feet of architectural concrete at front entrance and both side patios. MTS sandblasted architectural concrete walkways around pool on the 6th floor amenities deck. MTS sandblasted heavy architectural concrete driveways. MTS sandblasted I35 armor joints in preparation for bridge overlay. 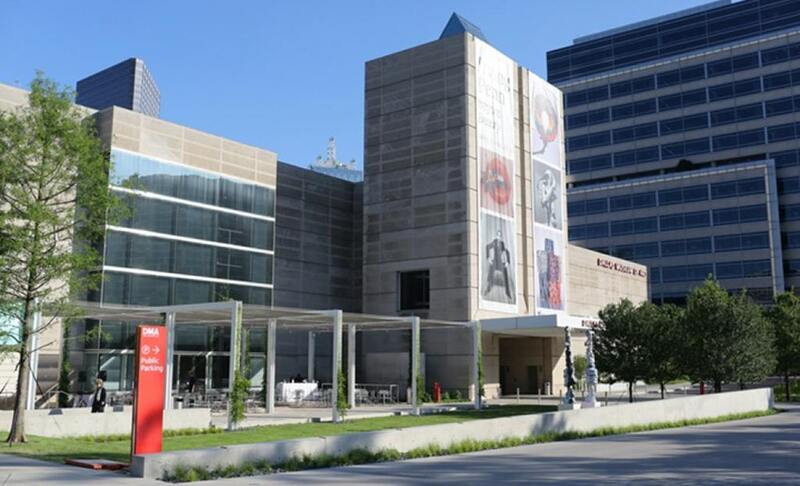 MTS sandblasted over 20,000 square feet of architectural concrete for Dallas Museum of Art's new Eagle Family Plaza. 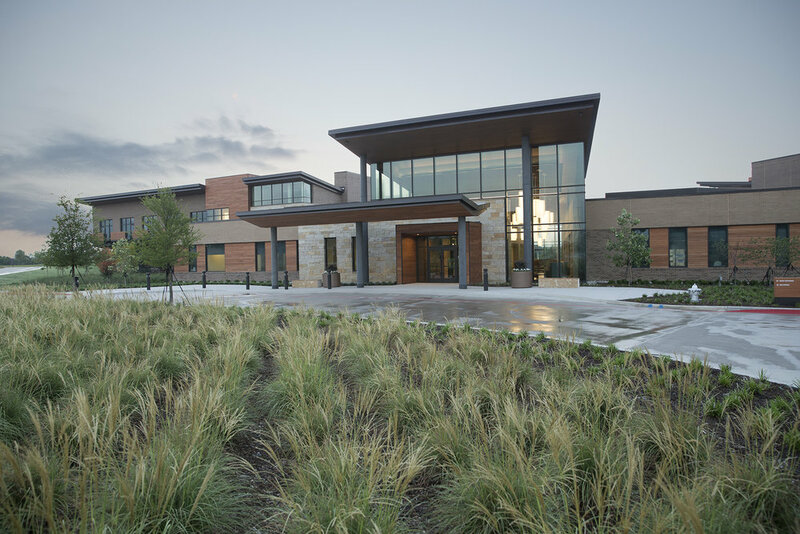 MTS provided heavy architectural sandblast finish for the front entrance of Texas Health's new Fort Worth hospital. MTS engraved signage for the main ticket office and pro shop at Dallas Cowboy's stadium. MTS sandblasted 40,000+ square feet of architectural concrete driveways and walkways around Bioengineering Science Building. MTS sandblasted architectural concrete walkways at ConocoPhillips HQ in Houston, TX. 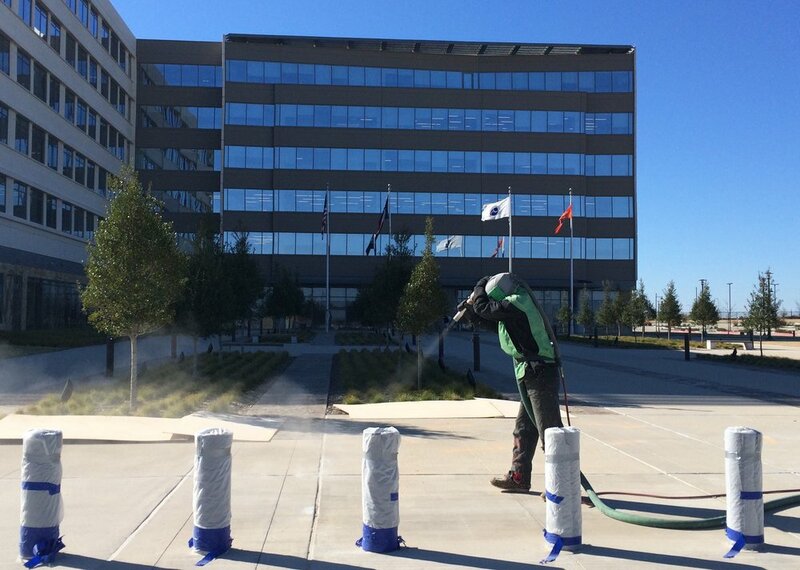 MTS Sandblasted 20,000+ square feet of architectural concrete at FAA HQ in Fort Worth, TX. MTS sandblasted over 7 miles of caulk joint for DEA's new concrete apron/taxi way.